"The property was nice and clean. I would recommend this property. Check in was a little crazy got there at 5 minutes to 3 which check in time was 3 was told the unit wasn't ready got a call 3 and was told it was ready now. So be there at 3 to check in." "Have stayed in this unit for last 4 years. Very well maintained & decorated. Owner does a nice job of keeping unit updated & ready to "move in" when we get there. Location is perfect for us. Close to grocery store & many fun restaurants... Calli Bakers, Finn Mac Cools, Harry the Hats...just to name a few. Staff at Myrtle Beach Bacation Rental is OUTSTANDING! We have been so pleased with the way we are treated each & every year. Great service, friendly & courteous people & professionals all around. You won't be sorry if you stay here!" "The apartment was well equipped, with a fantastic view. At least one of the stove burners was out of order and , while the place seemed clean enough on the surface, while checking under the furniture upon departure, it is clear that these are never cleaned, being very dirty with dead roaches found. It is a beach rental so I dont expect it to pass a white glove inspection however. I would stay there again." "Everything was lovely....maintenance need to be a little more prompt for service request other than that it feels like hone!!!!" "no issue with this property"
"This condo has been nicely updated, was very clean and is in a great location on Shore Drive. My only issue is that I found the mattress in the MBR to be not firm enough. 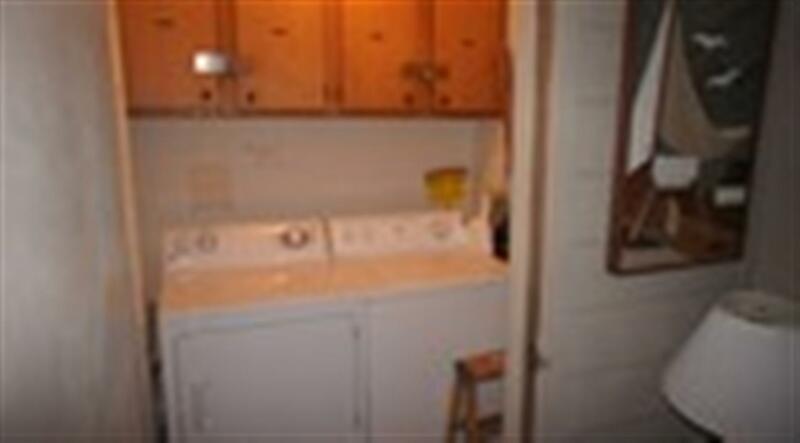 That said, I would rent this condo again as it is nicely updated and maintained." "My visit in August 2016 was amazing. My family loved everything about the condo. No problems/no complaints. Yes, it was ocean view, in which I was skeptical of at first. I relaxed at night while listening to the water waves (God) speaking - it was a heavenly experience. The staff was extremely helpful and pleasant. They extended my check-out time since we arrived late and even returned my daughter's charger, which they were not required to do. I will definitely be back, hopefully the same room and maybe a little longer. " "We loved the place and location." "We returned to Pelicans Watch - Unit 303 again this year. Love the location & that condo is ocean front. Very close to a lot of the places we want to visit while in Myrtle Beach...restaurants, shopping, shows, gym, beach, churches. Our only suggestion for the unit might be a new couch & maybe another lamp in living room. Had to contact the owner once & was very pleased & impressed how quickly he got back to us to help resolve our problem. Staff at MB Vacation Rentals are exceptional. Very pleasant, friendly and make you feel that your vacation is really important to them. Would highly recommend this rental office. Coming back again next year!!" "This condo was in very good condition and was accomodating to our 8 family members. Kitchen was well stocked. Our only complaint was that there were not any light bulbs to replace burned out ones. The view is beautiful and location convenient to grocery stores, shopping, restaurants and attractions in Myrtle Beach. Very satisfied! " "We had a wonderful time. The rental was very clean and very spacious and exactly what we expected." "The property itself was nice, location is perfect, love Ocean Drive. The couple things that my guests and I was not happy about was the two bedrooms had very hard beds and the t.v. set up along with cable was a down fall for us! Along with some of the lamps did not have light bulbs in them. The shower liner in the one bathroom should be replace, it was a moldy. I hope in the future by reading these reviews that you as owners change these couple of things!" "We absolutely loved our stay in this condo! It was a perfect location for us - right on the ocean, but away from all the crazy activity that goes on a little further down the beach. The condo is very nicely decorated and updated. We had a little issue, but it wasn't a huge deal. The full size bed in the spare bedroom was not attached to the headboard, but we found some tools and fixed it. Also, there is no tv or cable in that room. It would be nice to have working TV's with cable in each bedroom. Other than that, the condo is perfect! The building is aging, but is well maintained. We would like to add that the maintenance man does an excellent job. He was out working on something the entire week we were there, from early in the morning until late in the evening. We hope to visit again!" "Beautiful, everything was on point... Clean, neat... Don't have no complaints at all "
"We loved everything about this apartment! We stayed here with 4 adults and two little ones (3&1) my one year old loved playing on the screened in balcony (and I loved that he was safe there). The apartment was clean and beautiful decorated. The linen package provided us with more than enough towels. The kitchen is well equipped, I cooked breakfast and dinner every day and found nothing lacking. The pool was great and we loved that we could walk out to the beach and then shower before entering the apartment. We had one rainy day, because of tropical storm Ana, which we spend in the children's museum, perfect for our little ones! Definitely would stay here again!" "Our condo was available earlier than expected. It was very clean, perfect size, and had a great view of the pool and beach. Thoroughly enjoyed our stay and plan to come back." "very good. The TV's in the bedrooms did not work, but we managed fine without them." "Loved this condo and it's location. Superbly, decorated. Loved the color scheme...very beachy!! Only upgrade it might need is a more comfortable couch. Already booked it for again next year. Absolutely loved working with staff at Myrtle Beach Vacation Rental. Very attentive and customer oriented. Worked mostly with Tyronne & Cami. Could not have asked for any better service from them. Friendly, polite and very professional staff. Will definitely recommend them to friends and family. Thank you Myrtle Beach Vacation Rental for a great vacation spot." "Four guys on a week of golf. Perfect spot looking out onto the beach. Would go back for sure. " "The condo had an amazing oceanfront view. Parking was also extremely convenient based on other places we have stayed in the past. However, one big setback was that the televisions were not connected to anything in the bedrooms!! So those in our party could not retire to their room and relax and watch tv. The only tv that was connected to cable was in the living room so everyone had to go there. This was problematic especially as sleeping schedules were different, plus children could not have tv in their room. It was a small thing, but very disappointing. The condo was also limited on things such as toilet paper and soap so we had to make a trip to Walmart to stock up on these items that are normally included in a hotel stay." "Was very pleased with the property and would definitely stay here again. Only complaint is property was supposed to have wifi and info on mb vacation rental ap didn't work to connect .. Emailed from ap and never heard back. Otherwise great property and location. " "Very nice newly remodeled. Nice furnishings and decorated well. Only draw back was the third floor, but still was a great unit." "The rental interior was neat and clean. The view was wonderful. The exterior, however had chipped & pealing paint, the carpet on the corridors was a tripping hazard as the wind blue it up in places & was no longer attached in sections." "Was a great experience, no problem with check in or check out. Was a first class experience. Would book with them again." "We had a wonderful rental experience. The condo was more than we expected. The master bedroom had a wonderful ocean view and sounds to go to sleep to/wake up to. The screened in front porch/balcony was absolutely perfect for us because we have twin 2 year 10 month old children. The location was fabulous and we enjoyed having the pool to swim in when the ocean was too rough. Being ocean front is key. You can leave your umbrella, etc. set up while you go up to the room for lunch, kids' naps etc. The condo was clean, smelled good, and included updated appliances and flat screen TV's in LR, master, and 2nd bedroom. We had a wonderful time and would recommend this condo to friends. " "This is the 10th year in a row we have gone to Myrtle Beach for our yearly family vacation. The place was nice but the beds need replaced and could be bigger. They were very uncomfortable. The ocean front view was excellent plus the room overlooked the pool which was also very nice. There were tvs in the family room and the master bedroom which were both connected to cable. There was also a tv in one of the other bedrooms but did not have cable connected to it. The condo did provide Internet service but that was slow and was always losing connection. I would not recommend this place if you need reliable Internet service. Both bathrooms were really nice and clean. The laminate floors in the kitchen and family room were also nice and easy to sweep. The condo was also lacking a dustpan making it hard to clean up the sand that was tracked in. We would stay here again if the Internet were better and if the mattresses were replaced. " "Our vacation was enjoyable, although I have some concerns and recommendations that should be considered for future. 1) master bdrm matress should be burned and replaced, check the others as well. 2) Poor Sink and Shower Drainage open all drains. 3) Kitchen appliances could be updated with better quality product." "I always stay at pelicans watch but this was the first time I stayed in 303. I was told there was working cable in both bedrooms which is a huge reason i rented this condo but the kids room just had a tv, no cable nothing so my kids were unable to enjoy tv time in their room before bed. There were 16 things wrong within the condo in which maintance did come almost everyday to try and fix them but they were not all completed. I will never stay in that room again.oh and there was a phone and lamps but no where to plug them up so I guess they were for show. I did contact myrtle beach vacation rentals several times about issues and was told I would get a phone call back and did not. Overall, I was very unsatisfied with this trip and so was my guest." "Everything was Great, and I mean everything from the sunrise to the sunsets from the balcony or going to sleep and hearing the waves crash. I would do this unit over and over again. Everything was modern. 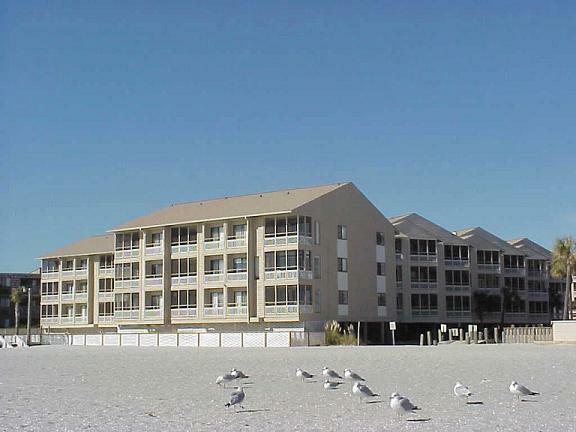 loved it"
"We have stayed at Pelican's Watch or Pelican's Landing numerous times and the location is excellent for shopping, eating and of course the beach." "Needs more lighting in two bedrooms...very dark. Needs pole in closet to hang clothes, light bulbs replaced, deadbolt fixed. Other than that great. 2nd time staying, great location. Pls spell Atlanta correctly down below!! Thx!" "I enjoyed staying at Pelican's Watch. It was a great location with easy access to all the main attractions and steps from the ocean. Our condo was clean and nicely equipped. The only downside was if you were out late it was sometimes hard to get a parking spot. Our particular condo could have used some new kitchen pots and pans too." "We have stayed in the Shore Drive area for the last 28 years. Pelican's Watch was not new to us. We love the area. Our unit was very nice but several things concerned us. The fridge was a problem and we had to throw out baby formula and the ice maker DID NOT work. I called and a maintenance technician promptly called and visited the unit. He told me to call the rental agency the next day (Monday) and tell them a new ice maker was needed. I did call - 2 times, but no new ice maker was installed. The adjustments he made to the fridge settings helped with maintaining the other section of the fridge. He said that something was definitely wrong with the freezer. If a new ice maker would have been installed and if they would have repaired the sliding glass door handle things would have been wonderful. " "Had a great time. Place was very nice. Only thing I could suggest is there needs to be more light in the bedrooms. " "Upon arriving to the property the outside did not look spectacular but we were thinking when we step in the building it was going to be in fair condition. But to our surprise the property was more than we expected. We really love our unit and will recommend and stay there again. The balcony privacy, the kitchen was fully stock with everything we needed. The bathrooms OMG, everything was wonderful. We are planning to make reservations for next year in the very same unit. This was my first time making reservation in the blind and not knowing about the property and I'm glad I took the chance. We enjoyed every bit of it. Thanks Myrtle Beach Vacation for the wonderful stay. "Would like to consider 2012 in unit 303 or 305, 306 or 307. Is there a link I can go to to check availability for 2012?" "Loved the condo and the location. It was very nice and clean, which made our stay so much more enjoyable, although we could have done without the screens on the balcony--we just did not care for them. We really enjoyed the beach this year and Myrtle Beach Vacation Rentals and Pelican's Watch #303 gets the credit. We will definetly book next year with MB Vacation Rentals! Their staff was very polite and so helpful. Would recommend them again and again!"